Extortion has been an issue in Mexico for a number of years, but came to prominence on 25 August 2011. On this date, as many as ten heavily armed gunmen arrived in three vehicles and entered the Casino Royale in Monterrey, capital of Nuevo Leon state. They doused the facility in fuel and sporadically detonated grenades on the gaming floor. The final death toll in the casino fire was declared to be 52. Subsequent investigations established that Los Zetas, arguably Mexico’s most prominent drug cartel, was responsible for the incident. According to members of the cartel that were arrested for their involvement, the intention of the attack was to send a message to the owner over his failure to pay an extortion fee to the cartel. The scale of the extortion problem is assessed to have increased in the two years following the Monterrey incident. The increase in cases from the respective first quarters in 2012 to 2013 alone is believed to be greater than 180 percent. In addition, cases involving foreign firms are reported to have doubled in the same period. This challenges the long-held assumption that extortion has a limited impact on foreign business operations in Mexico. 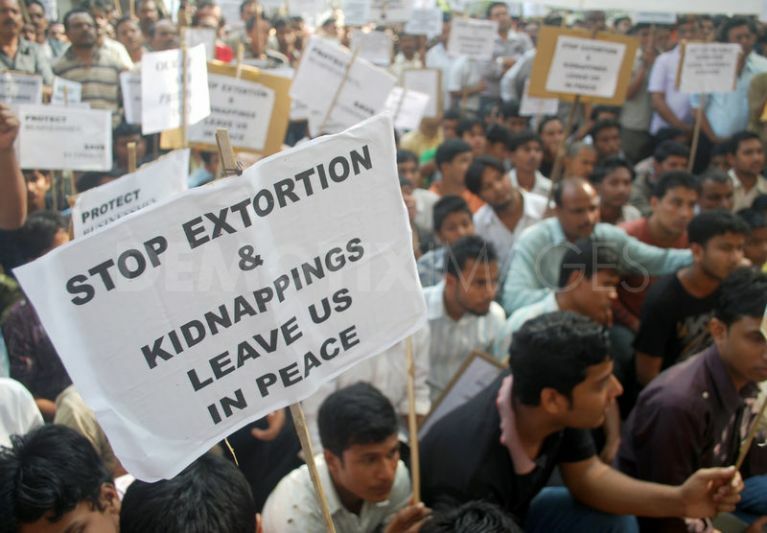 Extortion is essentially the unlawful extraction of money, property or other concessions through coercion. In Mexico, it is largely a factor of the general insecurity that has accompanied the rise in drug cartel-related violence. Since 2006, when former president Felipe Calderon launched a large-scale anti-narcotics security strategy in an effort to combat organised crime, extortion rates have grown significantly. Among the chief perpetrators of extortion in Mexico are drug cartels. The larger of these organisations yield considerable influence in their areas of operation and usually conduct their criminal affairs with a high degree of impunity. Los Zetas, together with the equally pervasive Sinaloa cartel, maintain a presence in a significant number of Mexican cities and smaller organisations have filled the void elsewhere. Although the principal activity of large drug cartels remains the production, trafficking and distribution of a range of narcotics, the pressure put on drug cartels by an ongoing government offensive and increased competition have meant that these groups have diversified their criminal activities in order to augment their revenues. Among these activities, extortion has been particularly lucrative. Amid general insecurity perpetuated in large part by the presence of several influential drug cartels in the country, opportunistic unprofessional extortion has grown. This group of perpetrators has piggy-backed on the fear instilled by drug groups to threaten victims during extortion attempts. Under the guise of being part of a cartel, the lay-criminal can conduct extortion without the necessary capability or motivation to carry out threats. Apart from drug cartels and opportunistic criminals, there are also a proportion of extortion attempts instigated by criminal organisations that do not partake in drug trafficking activities. The extent to which criminal organisations will follow through on threats is largely contingent on the professionalism of the group. Until fairly recently (roughly 2006), local and family-owned businesses were discriminately targeted by extortionists. This was fundamentally due to the ease with which perpetrators could identify those with control over the finances of the enterprise. Smaller local firms are also more likely to have cash available on demand. However, there has been a significant expansion in the potential targets of extortions in recent years. Indeed, statistics and anecdotal evidence suggest that the full revenue-spectrum of businesses and the full range of income-earners are targeted. Another departure from the status quo in recent years has been the willingness for extortionists to target foreign companies or those with interests in these companies. Statistics on the extent of the crime among foreign firms aren’t easily accessible; this is largely due to the lack of reporting and undesirability of this becoming common knowledge. However, at least one survey indicates that as many as 36 percent of foreign firms fell victim to extortion in 2012. It is assessed that the majority of extortion incidents in Mexico are initiated via telephone. Although random cold-calls are common (often initiated from within the Mexican prison system), potential victims are usually researched by means of reconnaissance to establish how much money can be extorted. In addition, information on the victim’s family and other aspects of their personal life can be used by the perpetrator to bolster the threat. In communication with the victim, the perpetrator will make a demand and the threat of violence to the victims or to their family, property or business interests will be used to encourage an expedient result for the perpetrator. In other cases of telephone-based extortion, the perpetrator may claim to have already kidnapped somebody related to the victim in some way. In this case, the release of the victim is contingent on meeting the extortion demands. 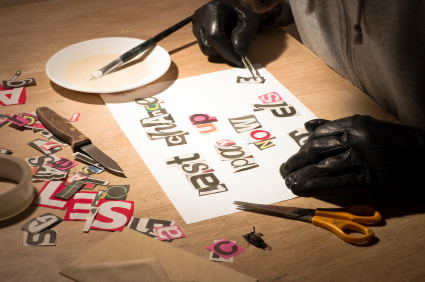 Those involved in extortion are increasingly directly approaching business owners and employees. This method is common in areas with a significant organised crime group presence. As with telephone-initiated extortion, threats to person and property accompany demands. Often justified as protection money or ‘derecho de piso’, extortionists may make demands of victims on a regular basis. This can lead to an extortion racket that can extend to other businesses in the area or industry. The amount demanded in revenue-motivated extortions varies greatly. This is dependent somewhat on the professionalism of the perpetrators, the size of the company, and the perceived revenue that said company draws. In virtual extortions, demands of as low as US$400 are not uncommon, while larger companies may be victims of attempts to extort as much as US$200,000. In addition, racketeering can see larger companies pay up to US$20,000 per month to those perpetrating extortion. States worst affected by the crime include Morelos, where as many as 34 incidents are recorded per 100,000 of the population, Durango (17 per 10,000), Baja California (16 per 100,000), Chihuahua 13 per 100,000), Jalisco (12 per 100,000), as well as Mexico City (11 per 100,000). At this point, it is worthwhile reiterating that reporting rates are believed to be exceedingly low and that the actual rate of extortion could be as much as double those listed above. In fact, anecdotal evidence suggests an extortion rate nearer to 100 per 100,000 in some areas of worst-affected states. Furthermore, local sources report that, in some major cities, few city-centre businesses are exempt from extortion attempts. Given its effectiveness as a crime and the relatively low risk to the perpetrators, extortion incidents are unlikely to decline in the short- to medium-term. Those intending to operate in the country should explicitly address the risk as part of their due diligence assessments and are advised to consider ways to mitigate the threat. These measures include developing a crisis response plan and process; assigning crisis management roles and responsibilities; and, conducting training and role-play exercises to simulate extortion situations. This should ideally be done together with a security organisation that specialises in dealing with kidnap for ransom and extortion (KRE). In-country personnel should be made aware of how to deal with extortion attempts and, at the very least, keep a low public profile, avoid disseminating unnecessary company and personal information, and remain calm and measured in communication with the perpetrators. This entry was posted in Uncategorized and tagged ABP World Group, Belgium, Close Protection, Europe, executive.protection, Extortion, Extortions, Germany, Help, Ireland, Italy, Kidnapping, Kidnaps, Mexico, Norway, Spain, US. Bookmark the permalink.